Russian Agriculture Minister Aleksandr Tkachev has criticized Ankara for imposing a 130 percent tariff on Russian wheat and corn. 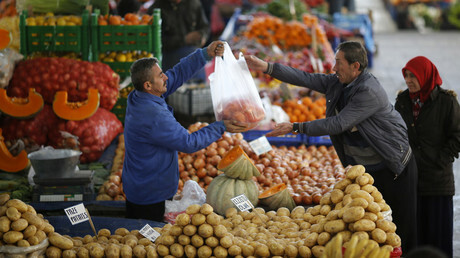 The measure could halt Russian agricultural exports to Turkey. "Turkey's actions cast doubt on the sincerity of intentions to build a lasting relationship. We do not accept attempts to exert pressure on Russia to force it to open access to banned Turkish agricultural products to the Russian market,” said Tkachev. At present, Russia bans imports of Turkish frozen meat and poultry as well as tomatoes, cucumbers, grapes, apples, pears, strawberries and other fruit and vegetables. The restrictions were imposed in response to the downing of a Russian jet in Syria in November 2015. Restrictions have not been canceled despite a thaw in relations after Ankara’s apology. Last week, the Russian media reported that Turkey had imposed a 130 percent tariff on wheat, corn and sunflower meal that is making deliveries unprofitable for local businesses. "The Ministry of Agriculture of Russia is extremely surprised and disappointed with this position of the Turkish colleagues because during the last six months both sides talked about the need to normalize bilateral trade relations," Tkachev said. According to the Russian minister, as a result of Ankara’s actions, exports of wheat, corn, unrefined sunflower oil, sunflower meal, beans and rice to Turkey could be completely halted. While Turkey is the second largest market for Russian wheat after Egypt, Russia will find ways to diversify exports, said Tkachev. “In a short time we will be able to quickly redirect deliveries of Russian agricultural production to other regions of the world," he said. 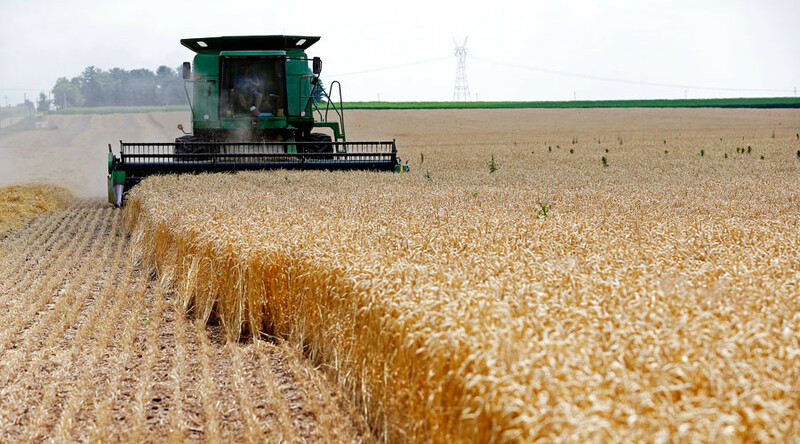 Russia was the largest exporter of wheat in 2016.